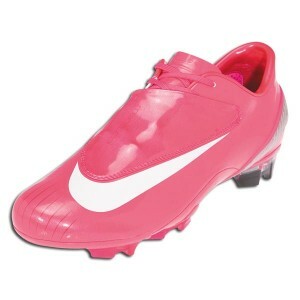 Nike introduced the eighth version of the Mercurial Vapor…they say the boot is “berry”…it’s pink. I predicted that Djibril Cisse would be the first player to don the boot…he’s never struck me as one to shy away from anything flashy. I was wrong…I spotted both Franck Ribery and Niklas Bendtner wearing the boot over the weekend. Ribery wears them better.